Mark Anthony K’s latest purchases! Mark is also creating a new prog band! Thanks so much, Brian! Hopefully I will be able to keep up my commentary on the new-look band way into the future. 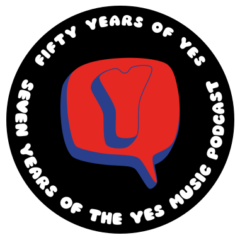 My birthday and a podcast..great….I get up I get down…morning happy birthday…lunch time mum in hospital….life is so full..and unpredictable .enjoy it and each other….spread happyness …long live Yes. Crikey! I’m glad I was able to bring a bit of light into the day. Hope you mum is OK… Thanks for the comment. It’s Saturday morning here in Toronto Canada and as part of my usual routine I’ve checked for a new episode of Yes Music Podcast. I’m extremely happy to hear that you will be continuing to podcast as it is one of my favorite weekly shows. With this awesome news I promise to continue contributing my weekly reviews and will strive to make them as strong as your show. I look forward what the future holds now that Billy is a full time member of Yes. Take care my friend and thank you for keeping the show alive!! Thanks Mark. As you will hear, your latest review is in the show this week!